This class is part of a chronic pain class series at the VA. To enroll, participants must have a diagnosis of chronic pain from a VA doctor. 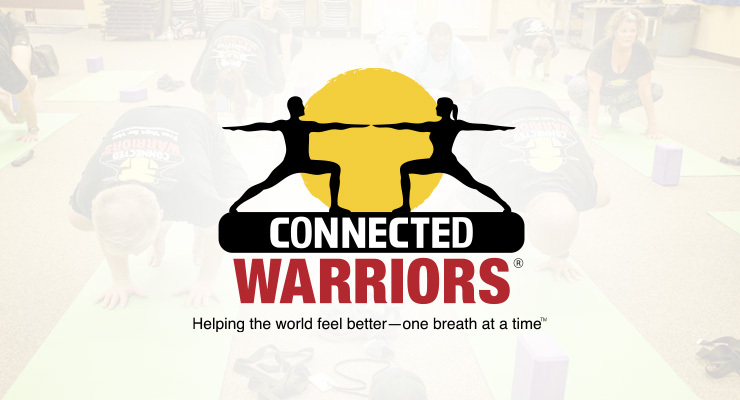 Connected Warriors is the largest community based volunteer organization providing trauma-conscious yoga therapy for service members, veterans and their families in the United States. Our primary goal is to provide a safe and secure environment with a strong emphasis on re-establishing the mind-body connection and guiding our warriors and families to healthier and more peaceful lives. Yoga is an ancient system of physical postures (asana) and movement combined with breath (pranayama) intended to bring peace of mind and well-being. Yoga postures and breathing techniques build the mind/body connection, which cultivates the connection to self, ability to observe and stay with inner thoughts and feelings, and the ability to remain present. The practice can help regain a sense of control and ownership over your body and experiences. Practicing yoga is to learn to listen to your body and make choices to take care of yourself – this is the practice of mindfulness. Trauma conscious yoga provides an opportunity to be physically in sync with others. 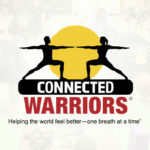 Connected Warrior classes foster a strong sense of community shared by participants at each location. Inner Strength – 60 Minutes – This is our “core” Connected Warriors class. It involves postures, meditation, and pranayama (breathing) while emphasizing the mind-body connection. Women’s Only – 60 Minutes – This class is for female servicemembers and/or veterans that focuses on self-awareness of the physical and mental bodies through breathing, meditation and gentle postures.